If you're not familiar with Terry Wahls, you'll want to watch this video about her incredible health transformation. 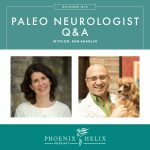 She is a physician with multiple sclerosis, who went from a wheelchair to a bicycle through the power of a nutrient-dense paleo diet that emphasizes 9 cups of vegetables daily. She has since dedicated her life to clinical research and education, and is proving that her protocol works for others as well. 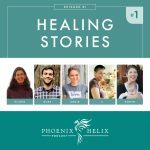 She just published a book detailing not only her healing story, but a complete guide to help others do the same. What's the Wahls Protocol, in a Nutshell? Level 1 – The Wahls Diet: This is the entry-level program for those transitioning from a typical American diet. The restrictions are no gluten, no eggs, no dairy (with the exception of ghee), no refined oils, limited sugar and no processed foods. The focus is nutrient density: she asks you to ramp up to 9 cups of vegetables daily (3 cups greens, 3 cups sulfur-rich, and 3 cups colorful). She also asks that you source organic, grass-fed and wild-caught foods, as much as your budget allows. Level 2 – The Wahls Paleo Diet: This is her most popular level. It's essentially a 90/10 paleo diet with a focus on nutrient-density and a little wiggle room to make life easier. You start with the details of the Wahls Diet listed above and add the following elements: (1) Reduce consumption of non-gluten grains, white potatoes, and legumes to only twice per week and remove soy altogether (with the exception of fermented soy). (2) Increase meat consumption to a minimum of 9 ounces daily. (3) Increase your healing foods to include organ meats, seaweed, fermented foods, soaked nuts/seeds, and more raw foods. Level 3 – The Wahls Paleo Plus Diet: This is the diet Terry personally follows. It's a ketogenic diet (high fat, low-carb and moderate protein), but unlike conventional ketogenic diets, it is specifically designed to include 6 cups of vegetables daily for nutrient density, while still maintaining ketosis through the chemistry of eating 5 tablespoons of coconut oil per day. It's also stricter than the prior Wahls levels. It requires 100% compliance, eliminating all grains, legumes, soy and white potatoes, and limiting starchy vegetables to two servings per week and fruit to 1 cup of berries daily. Protein is reduced according to size and gender, with the emphasis of shifting the body to burning fat for energy. It also adds an element of intermittent fasting. 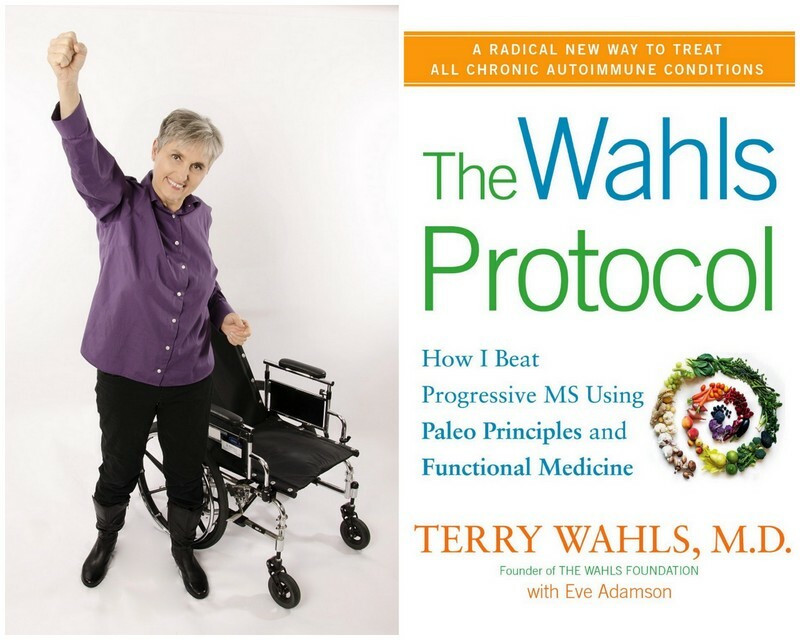 This diet requires careful focus and monitoring to be done correctly (and the book tells you how), but Terry doesn't recommend people start with Wahls Paleo Plus. She herself slowly transitioned through all phases of her protocol, and that's what she recommends for others as well. Level 4 – Troubleshooting: In the troubleshooting section of her book, Terry discusses functional medicine, optional lab tests, elimination diets, hormone issues, potential infections, etc. If you don't find success with the Wahls Protocol, it's time to discover what's interfering with your personal healing. Terry also offers tips throughout the book for people having problems with different aspects of the protocol, such as difficulty digesting vegetables, or difficulty sleeping. How Does it Differ from the Paleo Autoimmune Protocol? While the paleo diet is meant to be a permanent lifestyle change, the autoimmune protocol (AIP) is a temporary elimination diet designed to identify food intolerances. The Wahls Protocol is a permanent lifestyle change, and elimination diets are only recommended as a possible troubleshooting step in the future. This is similar to Sarah Ballantyne's recommendation that people try full paleo first, to see if that puts their autoimmune disease into remission, and only do the AIP if necessary. That said, the Wahls Protocol falls somewhere between full paleo and the AIP on the healing diet spectrum. Dairy is removed from the Wahls Protocol permanently, and eggs are removed for 3 months and then reintroduced to test for tolerance. Nuts, seeds and nightshades are freely allowed and only removed later if you don't heal with the regular template. In contrast, the AIP removes all of these foods for the elimination period, and allows all of them to be tested for tolerance during the reintroduction period. It's authentic. Terry's honesty comes through from page one. She never claims to be cured – she still has MS, but it no longer interferes with her ability to enjoy a full and functional life. And while she and I have different autoimmune diseases, we've both experienced excruciating pain and the disabling power of our conditions (as well as our personal ability to reverse that process.) This gives her an empathy unique among leaders in the field, and I trust her advice. It's well written. Together with her co-writer, Eve Adamson, Terry has created a guide that's packed full of information, yet engaging and easy to read. It's inspiring. Not only does Terry share her own healing story, but testimonials appear throughout the book from people she calls “Wahls Warriors”, who are healing everything from MS to Parkinson's to cancer. No false promises. Terry is honest that healing takes time. Although most people see improvements within the first few months, she says that deep healing takes years. She doesn't sugarcoat this fact. This is a lifestyle protocol, not a quick fix. Of course, quick fixes are an illusion anyway. She's an excellent role model. You'll see in the interview below how well she takes care of herself. No matter how busy her life becomes with her work as a physician, researcher, author and speaker, her health remains her priority. She walks her talk. It addresses lifestyle. Terry knows that healing is about more than just the food, so her protocol emphasizes movement, stress management, a daily journal, quality sleep and detoxification, as well as finding your motivation for sticking to the diet. Ignoring these factors can cause a flare as easily as eating gluten. The Wahls Protocol is very specifically based on Terry's personal experience, and there's risk with that, because we're all individuals. For example, Terry recommends people remove eggs from the very first level, because she has a severe food intolerance to eggs, but nightshades are freely allowed at all levels of the diet. If I wrote the book, I would have people remove nightshades, because that's my severe food intolerance, whereas I eat eggs without a problem. See what I mean? We're all different. That said, she addresses this in the book by allowing people to reintroduce eggs after 3 months, to test for tolerance. She also has a troubleshooting section where she describes elimination diets as a way to find other food sensitivities and personalize the Wahls Protocol accordingly. There are only 38 recipes in the book. Terry herself doesn't like to spend a lot of time in the kitchen, so the recipes included are very simple. This makes them great for beginners new to this style of eating, but doesn't offer much to the foodies among us wanting fresh ideas for our kitchens. However, this isn't a cookbook, so the fact that she's included recipes and meal plans at all is pretty amazing. It makes the book a very complete guide. 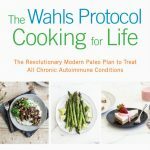 I would love to see a Wahls Protocol Cookbook published in the future and wonder if that's on the horizon? 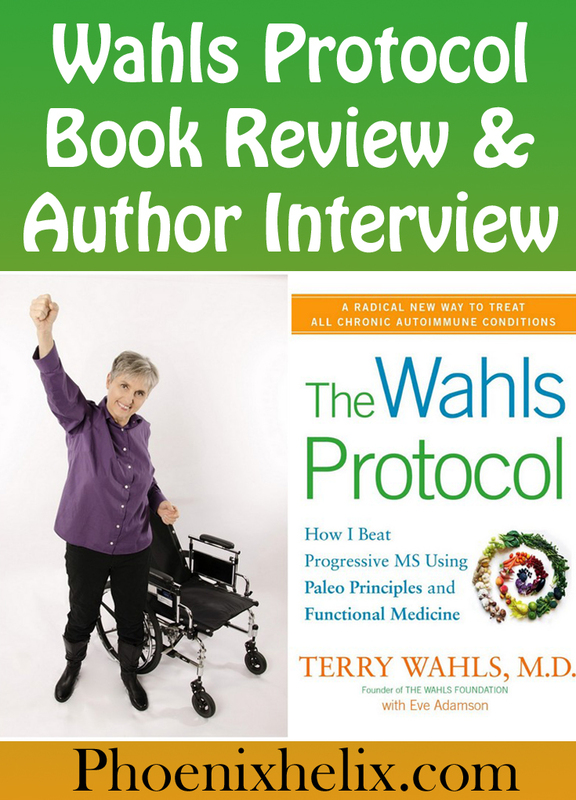 Terry was kind enough to talk with me about her continued personal healing, her clinical research, and the Wahls Protocol itself. It’s been a year since our last interview, and I was wondering if your health has continued to improve or remained stable? I have continued to improve. I'm actually very excited. I had to stop running in my early 20’s due to hip pain, long before I became disabled with MS. Now, I'm doing a combination walk/jog on my treadmill, and hip pain is no longer a problem. My guess is that this is the cumulative favorable impact of nutrition. I’m hopeful that I will get to the point that I can jog for a full 20 minutes. In addition, my physical therapist keeps steadily advancing the challenge of the exercises that I do, which demonstrates continued growth in my strength and stamina. How many years have you been doing the Wahls Paleo Plus ketogenic diet personally? It's been at least 18 months, and maybe even 2 years. I had known about ketogenic diets for several years prior and was curious, but my research showed they were unable to provide the vitamins, minerals and antioxidants that our bodies need. That’s not going to work long-term; if you're nutritionally deficient, you will create disease, there’s no escaping it. I worked to see if I could create a diet that was nutrient-dense and ketogenic at the same time, and that's how I created Wahls Paleo Plus. For the first 2 phases of your protocol (the Wahls Diet and Wahls Paleo), you mention its application for anyone with any health problem. When you get to the ketogenic Wahls Paleo Plus level, you focus on MS and neurological conditions. Is a ketogenic diet less helpful for other health issues, or even contraindicated for some? Kids and adolescents should not be on a ketogenic diet without physician supervision, and this would only be done for very specific conditions, such as seizures. For most kids, Wahls Paleo will bang it out of the ballpark, improving obesity, diabetes and behavioral issues without any need to try ketogenesis. As for adults, I think it’s a terrific diet for everyone, with the caveat that I wouldn’t go straight to Wahls Paleo Plus. Spend a month or two at the Wahls Diet and Wahls Paleo levels, and see if you get results. If you switch to a ketogenic diet too quickly, you often have side effects such as nausea and vomiting. While prior research into ketogenic diets has been mixed, with some populations improving and others worsening, those were nutrient-deficient ketogenic diets. What I've created is completely new. I haven't seen anything else like it in the published literature. In our current clinical trial we are seeing improvements far faster on this diet than we ever expected. It will be a year before we know the results, but we are optimistic. Update: Terry's advice on ketogenic diets has changed. See this podcast for details. Among people doing the AIP, it's very common across all autoimmune conditions for people to learn they have nightshade intolerance. I realize you don't eliminate nightshades from the Wahls Protocol. I’m curious if you’ve ever personally eliminated nightshades for 30 days and reintroduced them, to test your own sensitivity? We all can have a unique set of foods to which we are intolerant. 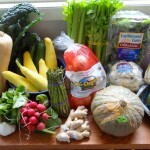 My approach is to have a very short list of what you take out of your diet, to maintain the greatest nutrient density. At the first level of my program (the Wahls Diet), I tell people to go gluten-free, dairy-free and hopefully egg-free, and then to eat their 9 cups of vegetables daily. In my medical practice and clinical trials, this leads to dramatic health improvements for most people. If a person isn't improving, I then suggest the removal of soy, legumes and nightshades, and then reintroduce them item by item, to test for tolerance. The more foods you take out, the more likely it is you’re going to have nutrient insufficiencies. You'll also have greater resistance to the diet from the people themselves and their doctor or nutritionist. I intentionally designed this diet to be one people and their physicians could more readily embrace. To answer your question about my experience, I have eliminated nightshades, reintroduced, and do not have a problem with tomatoes or peppers, which is great because I love them. I don’t do potatoes, because they're too starchy for me. With eggplant, I am sensitive. If I eat it, my heart rate soars, and that's sad, because I love it, too. I'll try eating it again in another year. I explain this process of using your heart rate to assess food intolerance more thoroughly in the book. How do your manage the stress of working not just full-time, but overtime, between your work as a physician, research scientist, author and motivational speaker? I used to love not needing much sleep, and I’ve since learned that was really stupid. Now, I go to bed between 9 -9:15pm every night and get up between 5- 5:30am every day. I meditate in the morning, afternoon and before bed. And if I’m having a particularly stressful day, I’ll take an Epsom salt bath. I’m very aware that keeping my stress hormones down is important, and I’m attentive to that. If I’m not, I’m much more likely to flare in my face pain. I’m quite grateful to my face pain now, as horrific as it is, because it’s such a useful barometer on how I’m doing on my diet and lifestyle. If my pain increases, I have to ask myself: What’s not up to snuff that I have to pay more attention to? Many people experience health setbacks during the writing of a book, due to the added stress, as well as sacrificing sleep to meet deadlines. Did this happen to you? I'm happy to say that it didn't. Many many years ago, one of my mentors said, if you want to write an article about something, schedule yourself giving talks about that topic, and you’ll find it’s much easier to write. Since I’ve been lecturing about the Wahls Protocol since 2008, it was very easy to write all this content. I’ve gotten terrific feedback in talking with my patients on how to explain the science at a level that anyone can understand. My co-writer Eve was also invaluable, giving me pointers on topics I hadn’t thought to cover. Had I not had her, I would definitely have been much more stressed. The biggest challenge was being able to sleep at night because I was having so much fun, it was all so exciting! Tell me more about the clinical trials. Our first clinical trial tested the effectiveness of the first level of the Wahls Protocol (the Wahls diet) with very positive results. In fact, the nutritionists monitoring the trial at the University of Iowa said it is the most nutrient-dense diet they’ve ever analyzed in the 20 years they’ve been doing research. That was very exciting to hear. We are now testing the other levels: Wahls Paleo and Wahls Paleo Plus, as well as the effectiveness of some of the lifestyle components of the protocol, such as E-stim. We are currently recruiting participants for our next clinical trial. We're looking for people with MS who eat a Standard American Diet now and are willing to adopt the Wahls Protocol. You can find the details here. Our mission is to create an epidemic of health. This epic of autoimmune disease that continues to grow every year is affecting more people at younger ages. The government is not going to stop that, health policy is not going to stop that. But all of us could, by learning to eat a more nutrient-dense diet, and taking out the foods and toxins that are more likely to create disease. In my protocol, I’ve given people one way of doing that, and I'm unique in that I have proven through scientific studies that my diet provides the 31 micronutrients your brain and body need. No other diet, including the autoimmune protocol, has done clinical research. I'm very proud of the Wahls Protocol. Here’s to creating an epidemic of health! The winner was chosen with the help of random.org on 3/21/14. Congratulations to Tracy Cornell! If you didn't win, don't despair. The book is reasonably priced and worth every penny. You can purchase a copy here. By now, I'm guessing you would love to get your hands on this book, so I'm hosting a giveaway! Terry's publisher gave me an advance copy of the book to review, with no obligation to write a review. I ended up being so impressed with the book that I'm personally buying a Kindle copy to give away to one of you. This makes the giveaway eligible to readers worldwide. Entry is simple. Either “like” my page on Facebook or subscribe by email to my blog. (You can do either via my blog’s sidebar to your right, or if you’re on a mobile phone, I believe the sidebar shows up at the bottom of the page.) When you’ve done that, simply leave a comment below, letting me know which one you’ve done. The winner will be chosen with the help of a random number generator, on Friday, March 21st. Good luck! For more information on the Wahls Protocol, check out my series of articles and interviews.